The Wilfrid Laurier Wind Orchestra played their first concert of the year to a full house this past Saturday at the Maureen Forrester Recital Hall. 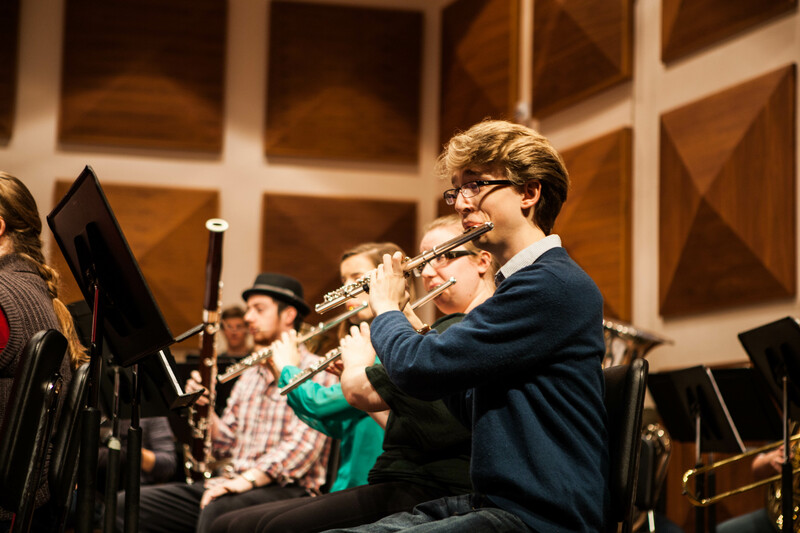 While classical music could be sometimes stereotyped as being dull, the WLU Wind Orchestra’s performance was anything but. The pieces chosen for the performance and the instruments used in the performance are carefully crafted by conductor Dr. Jessica Kun to create a unique and exciting concert. “We have four concerts a year, every year. Sometimes there’s an overlying theme for all four and sometimes they just each have their own theme but each concert has a theme or a purpose, so she picks the music accordingly,” explained Dave Patterson, a third-year music student at WLU and section leader in the WLU Wind Orchestra. Despite being students, the performance of the orchestra is a far cry from the concerts heard in high school. “We’ve been doing a lot of really hard music. We’ve been thrown music that the best professional wind orchestras in the world are playing,” said Patterson. Not only does the WLU Wind Orchestra present a unique and complex arrangement of pieces in their performance, they also include a wide array of instruments, such as an air horn and harps. However, the WLU Winds Orchestra did not always have such a strong performance. “This was the first year, in the first concert, it actually sounded super tight: our intonation was really good, our first years are incredible.” explained Spencer. “Even Dr. Kun said that was the strongest first concert she’s ever seen here, which is a good sign of what we can do later in the year,” agreed Patterson. Going forward, the WLU Wind Orchestra hopes to improve student awareness of the events available. The Wind Orchestra’s next performance is scheduled for Saturday, November 23 at 8:00 p.m.